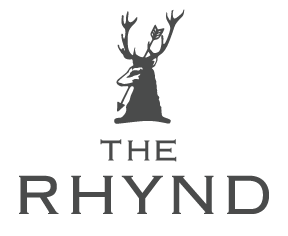 The Rhynd has already hosted many weddings this year, and the diary's looking pretty full until December. However, we never stop improving the event space as we always want to make it better. Most recently we have removed, and completely redone, the third and final roof. We renewed two of the roofs in October 2016, which was no small task. Every tile had to be removed, the beams were secured and then sarking was put down. On top of the sarking went insulation, a breathable felt, and then the original tiles. It's this treatment that the final roof has undergone. Now the event space is completely insulated and even warmer than it was before. One of the key things for us, when restoring the cattle court, was to keep the original character, and as many of the original features as possible. Putting a modern roof on the event space would have been a lot easier (and cheaper! ), but that's not what we wanted. Next time you're here, have a look at the craftsmanship that went into the roofs - they're a thing of beauty! We're also sanding and resealing the wooden floors in the event space - these are made from reclaimed timber (mostly from an old GAP store in Glasgow) and we wanted to give them a proper refresh so that they look as good as the day they first went down.